Wuxi, a shining peal of Taihu Lake, is located at the south of Jiangsu Province, linking with the Yangtze River in the north and Taihu Lake in the south. 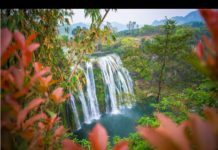 Moreover, it is approximately half way between the cities of Shanghai (metropolis with west-meets-east sites) and Nanjing (capital of Jiangsu Province), the former is about 145 kilometers to the southeast and the latter is about 180 kilometers to the northwest. 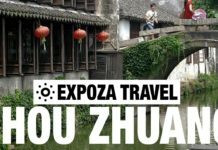 Along with the nearby city – Suzhou (50 km away), Wuxi is popular travel destinations for travelers to Shanghai and nearby destinations which is linked by high speed train less than 1 hour’s journey. Wuxi is one of the birthplace of Jiangnan culture which can be traced back to 3000 years ago in the late Shang Dynasty (1600~1046 BC). Taibo, the eldest son of emperor Zhoutai in the West Zhou Dynasty resigned sovereign authority to his third brother and came to Meili (today’s Mei Village in Wuxi). 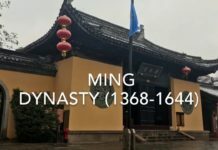 He introduced the inland culture to the south and created the Wu culture. 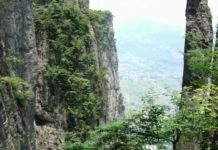 This place was first rich in tin during the Zhou and Qin Dynasties. 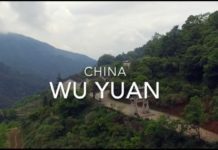 For the overuse of tin at the end of Qin Dynasty, the place got the name “Wuxi”, meaning “a place without tin”. 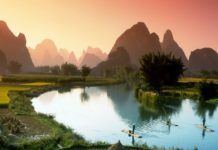 Nowadays, it is a good choice to travel to this fertile land still rich in “fish and rice” and explore its beautiful natural scenery and abundant culture. Breathtaking Taihu Lake Scenery. 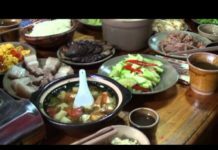 Travelers who come to Wuxi should pay a visit to Taihu Lake and those who visit Taihu Lake must take a visit to Yuantouzhu. The super view of Taihu Lake lies in the Turtle Head Peninsula. Either enjoy a leisure walk along the shore of the lake, or take a traditional boat quietly sailing on the water to embrace the glittering lake under the blue sky. Sacred Buddhist Land with 88-meter-tall bronze Shakyamuni Buddha. On the northern bank of Taihu Lake is the a holy Buddhist land – Lingshan Grant Buddha which is the biggest bronze Buddha in the world. With a pilgrim soul, you can worship the grand Buddha, watch nine dragons bathing Shakyamuni, enjoy Ode to Auspice in the Brahma Palace and touch the largest Buddha’s hand for good luck and longevity. Classical Gardens. 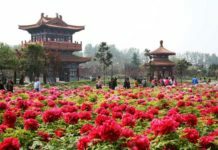 Though not so famed as Suzhou gardens, the typical gardens in Wuxi are worth your exploration. Wander through plum garden to appreciate flowering plum in the late winter to early spring, boat on the elegant water on the lake of Liyuan Garden to feel the retreating pleasure of Fanli and Xi Shi, appreciate the gorgeous designs of Jichang Garden imitated by Summer Palace and Yuanming Yuan…You will absolutely lose yourself in the Chinese-painting like scenery. Every city has its own stories. 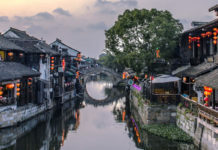 However, the legendary stories of Wuxi are described in the beautiful poems of Taihu Lake, flowing through the old grand canal through Wuxi downtown, as well as contained in the picturesque gardens, lakes and ancient temples. Though Wuxi is now well known for being of the birthplaces of China’s modern industry and commerce, its charm and beauty is shining around Taihu Lake. Lingshan Grand Buddha is one of the symbol of Wuxi located at the northern bank of Taihu Lake. It features the tallest bronze Shakyamuni Buddha standing majestically at 88 meters tall. It belongs to the grand Buddha situated in the east of China when the “Five Great Buddhas in Five Orientation of China” formed and it is even 17 meters taller than Leshan Giant Buddha. Yuantouzhu, also called Turtle Head Island, is a famous peninsula situated at the northwest side of Taihu Lake. There is a famous saying “The superb view of the Taihu Lake lies in the Turtle Head Peninsula”, making Yuantouzhu a must-visit scenic area in Wuxi. 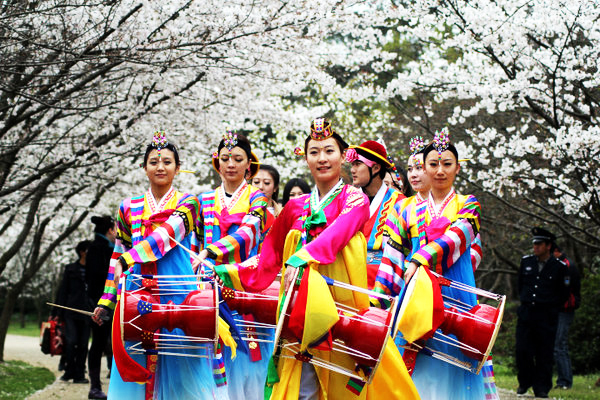 Travelers should catch the best period when cherry fully blossom in spring (March to April) to immerse yourself in the sea of flowers. Taihu Lake is one of the five freshwater lake in China with an area of 2428 sq. km and its shoreline stretching about 393 kilometers. 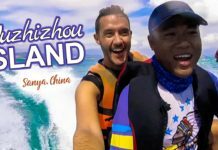 To see the vast Taihu lake scenery, it is better to take a boat sailing leisurely on the water. 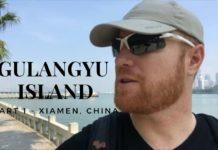 You can appreciate the gorgeous view at the north side of Yuantouzhu and also take a boat to Fairy Island across Taihu Lake. Wuxi Nanchan Temple, located at old grand canal, was first built during Liang Dynasty (502~560AD) with a history over 1450 years. 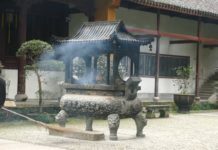 It was unparalleled in Liang Dynasty and got the reputation of “the top temple in Jiangnan area”. 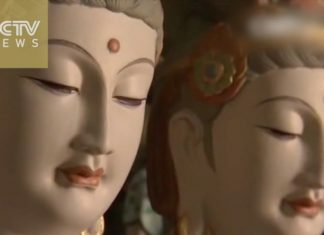 You can have basic understanding about Chinese Buddhism and long history thousand years ago. Luyuan Garden, situated on the shore of beautiful Li Lake, is a nice park to take a leisure walk and enjoy the lake and garden view. 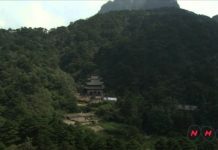 It was named after Fan Li who lived in seclusion with Xishi. The Four Season Pavilion, Thousand-step Corridor, Chunqiu Pavilion are worth visiting. Don’t miss the Lotus Blossom during June to September. Plum is the city flower of Wuxi. To enjoy the fragrant blooming plum, you should take a visit to Plum Garden which is the well-known place to appreciate plum in Jiangnan Area. This exquisite and well-designed garden has over 5000 plum plants with various types. The best time to enjoy flowering plum is from the end of January to the late March. Jichang Garden, close to Huishan Temple, is a famed Chinese classical garden in South China. Xiequ Garden inside the Summer Palace and Double-Crane House in Yuanming Yuan in Beijing both imitated Jichang Garden. 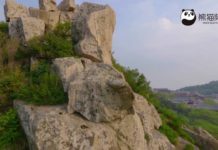 “The natural hills, elegant water, ancient trees, ingenious design” makes Jichang Garden a charming paradise to be visited. 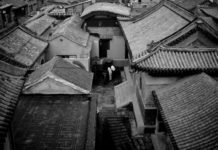 Huishan Old Town is with long history which can be called Wuxi history and culture museum in open air. There are 118 ancestral halls and important sites from Tang Dynasty to the Republican of China with 180 celebrities. 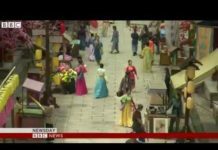 Travelers can visit Huishan Heng Street, Zhi Street and Baoshan Bridge to explore the antique town. 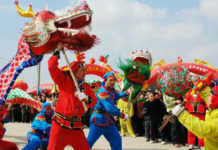 Wuxi is located at the south of Jiangsu Province with fertile soil called “land teeming with fish and rice”. It belongs to the subtropical maritime climate with four distinctive seasons, gentle temperature, plentiful rainfall and abundant sunshine. The average temperature is about 15.5℃. The average temperature in January is around 2.8℃ and 28℃ in July. The rainy days are mainly in summer. The best time to visit Wuxi are from March to early November, especially during the spring season when cherry are blossom around Taihu Lake showing travelers a sea of flowers. If visit in summer time, you can appreciate lotus blossom in Yuantouzhu, Liyuan Garden and more places. 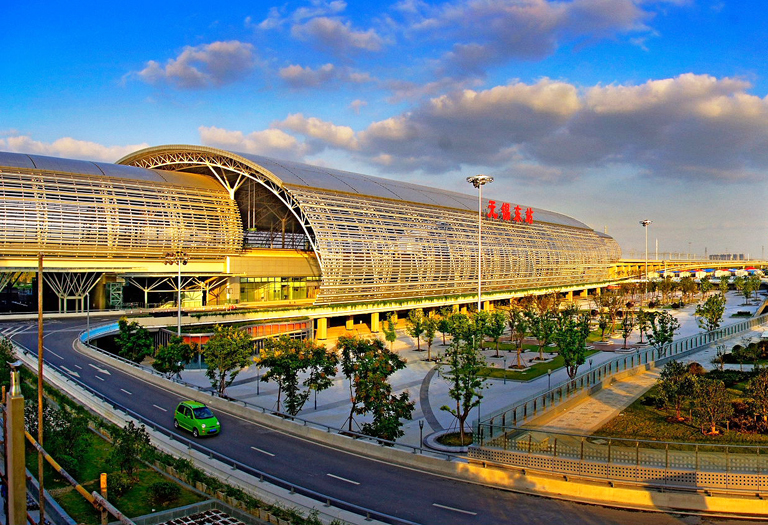 Travelers can reach Wuxi by air, train and coach. 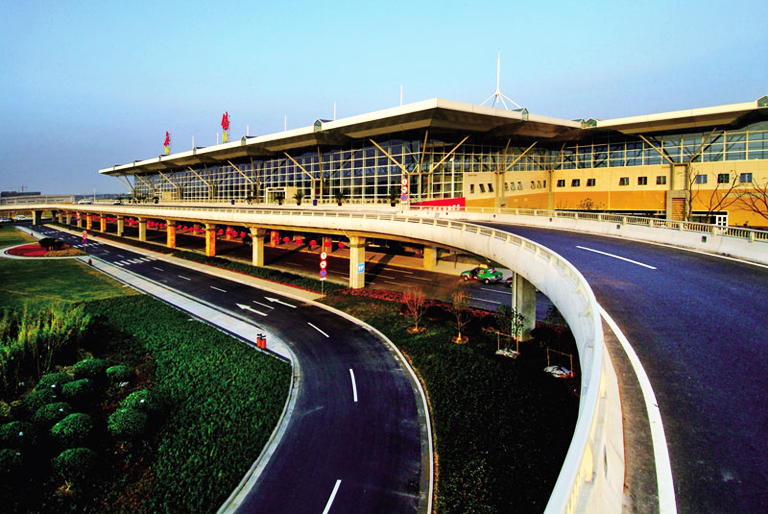 Wuxi Sunan Shuofang International Airport is located at the southeast of Wuxi city, about 18 km from downtown area. It has flights linking with Beijing, Xian, Wuhan, Chengdu, Chongqing, Guilin, Zhangjiajie, Hong Kong, Macau and more destinations. 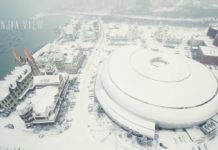 While, Wuxi has two railway stations, one is Wuxi Railway Station (4 km to Wuxi downtown) and the other is Wuxi East Railway Station(17 km to Wuxi downtown). 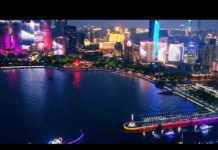 Wuxi is well located with easy transfer between Suzhou, Shanghai, Nanjing and Hangzhou, etc. 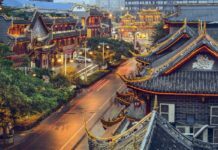 Shanghai – Wuxi: The distance between Shanghai and Wuxi is about 145 kilometers which takes about 2 hours and 10 minutes by driving. If you take high speed train, numerous G / D trains are running from Shanghai Railway Station or Shanghai Hongqiao Railway Station to Wu Railway Station or Wuxi East Railway Station. It is only 28 minutes to 50 minutes’ journey between the two cities. 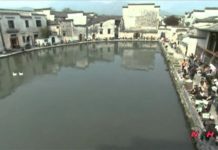 Suzhou – Wuxi: The distance between Suzhou and Wuxi is about 50 kilometers with 1 hour by driving. 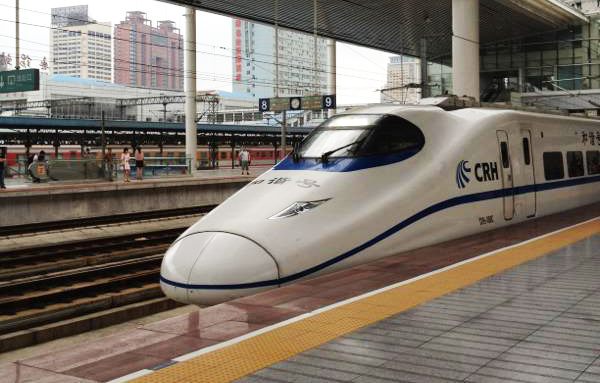 There are many high speed trains are available from Suzhou to Wuxi which takes only 10~15 minutes. Travelers can take G or D trains from Suzhou Railway Station to Wuxi Railway Station or Wuxi East Railway Station. Nanjing – Wuxi: The distance between Nanjing and Wuxi is about 180 kilometers which takes 2.5 hours by driving. Also, travelers can take G / D trains from Nanjing Railway Station / Nanjing South Railway Station to Wuxi Railway Station or Wuxi East Railway Station. The train journey is about 1 hour. Hangzhou – Wuxi: The distance between Hangzhou and Wuxi is about 210 kilometers with 2 hours and 40 minutes by driving. There are about 30 high speed trains are available every day. 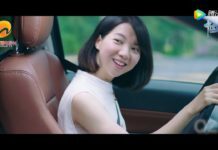 They are running from Hangzhou East Railway Station (a few from Hangzhou Railway Station) to Wuxi Railway Station or Wuxi East Railway Station.